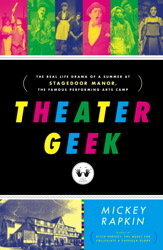 Reading “Theater Geek, ” an institutional biography documenting “the real life drama of a summer at Stagedoor Manor, the famous performing arts camp,” you wish you could go back in time and give author Mickey Rapkin his own summer of Sondheim-infused bliss. Say what you will about the merits of the book, one thing’s for sure: the man loves the place. Investigating “the broad question about what talent is—what defines it, who identifies it, how it is cultivated in this age of reality TV,” Rapkin spent three weeks in the summer of 2009 living and breathing Stagedoor, ostensibly to “piece together changing attitudes about the arts, about ambition, about sexuality.” He comes away from the experience a convert—the most fervent evangelists are always the converts—and the resulting book is less cultural analysis than unabashed love letter. I understand the temptation—I, too, am an alumna of a top theater camp, though not Stagedoor. (Actually, we looked down at Stagedoor because we had to audition, and because we wore strictly enforced uniforms and because, I’m pretty sure, our food was worse.) I have never been as happy as I was that first summer. I’m not a joiner. I’ve never been swept away by the collective roar of a football game. I don’t wear green on St. Patrick’s Day, and although I liked college very much, I don’t own a single article of clothing emblazoned with my alma mater. Camp was the one time in my life I’ve been enveloped by a group identity: I drank the Kool-Aid. I wore the sweatshirt. At opening and closing ceremonies, always orchestrated for maximum emotional punch, I happily cried on cue. When Rapkin waxes trite and poetic on the magic of campers finding themselves “at home” and “among my people” for the first time at Stagedoor, I get it. It’s true. Unfortunately, it doesn’t make for a great read. For one thing, despite Rapkin’s wide-eyed enthusiasm—and I can’t lie, he had me teary a few times with the wonder and hope and triumph of it all—he doesn’t have much to add to an already-flooded conversation. In the past several years, thanks in large part to its ever-expanding roster of famous alumni—Natalie Portman, Zach Braff and Lea Michele among them—Stagedoor has become something of a media darling itself. 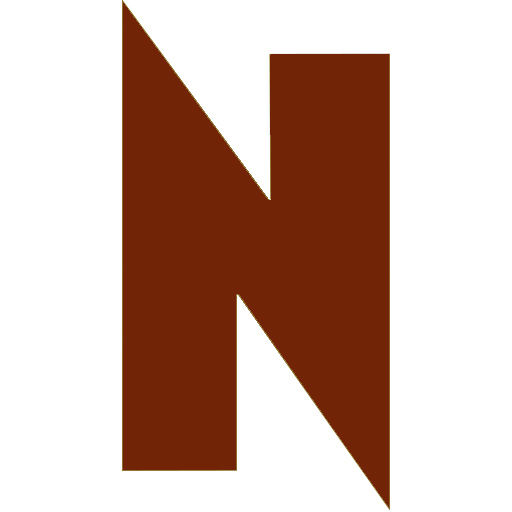 It was the inspiration for 2003’s indie feel-good flick “Camp” (written and directed by Stagedoor alum Todd Graff), the subject of Alexandra Shiva’s 2006 documentary “Stagedoor” (tagline: “The place where it all begins”) and fodder for spreads in the New York Times, Vanity Fair and People. That he’s on well-trodden turf isn’t the problem, though. Indeed, there’s nothing wrong with what the book is, but there’s a lot that’s frustrating about what it isn’t. Part camp history, part chronicle of summer 2009, “Theater Geek” reads as a particularly engaging recruitment brochure. For one thing, Rapkin chooses to follow three of the most talented long-time campers, all headed to top B.F.A programs, all unequivocally supported by their families, all as in love with Stagedoor as he is. It’s a likable sample, but in no way a diverse or representative one. By shying away from any complexity, Rapkin misses so much of what’s fascinating about places like Stagedoor: the sublimated competition, the insecurity, the pressure to choose a life path, the class issues that boil under the decision to pursue a life in the arts.